Previously, we talked about how you should play as a dueling or fighting champion against a tank. This time around, we will talk about how you should play as a tank when you’re against a fighting champion. In this Mobalytics guide by PicklePants, we will teach you how to have a better laning phase as a tank champion when you are against a fighting or dueling champion. As we all know, many tanks are incredibly weak in the early game and lack damage. They are usually immobile and do not have the strongest of laning phases. This means that it can be quite difficult for them to lane against a champion that deals damage in the early game. I would recommend that you read that guide as well as this one to understand what the enemy may want to be doing in this matchup. While most tanks have a limited choice for what starting items they can take, it is important that you choose the correct starting item in each scenario. The two main options are Doran’s Shield and Corrupting Potion. Generally speaking, no other items are taken as they do not benefit them enough in the lane. Doran’s Blade, for example, is out of the question for practically all tanks. The reason for this is that many tanks do not get enough of value from this item as it lacks sustain and defense capability. 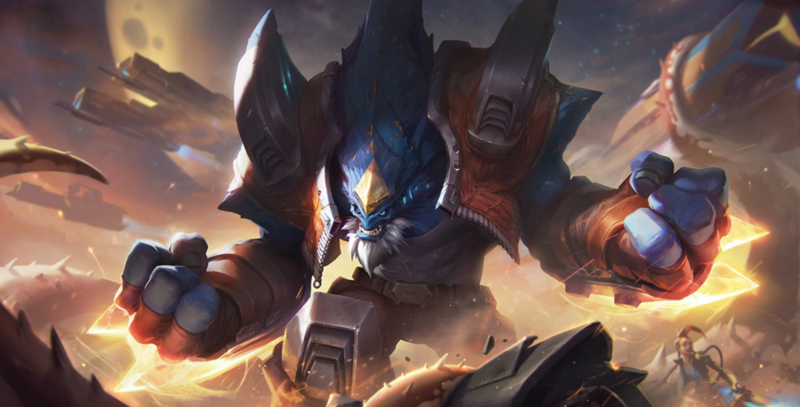 Doran’s Shield is a fantastic item because it allows the tank to have some defense stats which can help them out when it comes to laning against a fighter. The Doran’s Shield’s passive increases the amount of health regeneration that the user gets which will allow them to stay alive for longer in the lane as well as get health back after each trade. You would want to take this starting item when you are against a champion who is AD and doesn’t go for frequent trades every few seconds. While ranged fighters are not exactly common, you would also want to take this start when you’re against them. The 2nd starting item that you could take would be Corrupting Potion. This item is great as it gives you so much sustain in the laning phase and throughout the game. I would recommend taking this item whenever you are against a champion that likes to go for frequent and deadly trades. Taking this item will give you lots of sustain which will allow you to negate a lot of their damage. In most cases, many tanks will take this item because of the sustain it provides. Of course, there are exceptions to this rule and some champions may benefit from different starting items. If you’re unsure on what to build, refer to the Pre-Game. If you read our previous guide, you would know that fighters want the wave to be pushed towards them or kept even at all time. This is because it will allow them to engage on the enemy and go for frequent trades. If you’re playing a tank, you would need to avoid falling into this trap and giving the enemy the opportunity to fight you. The majority of tank champions would like the wave to be quite close to their side of the map but kept outside of their towers range at all times. 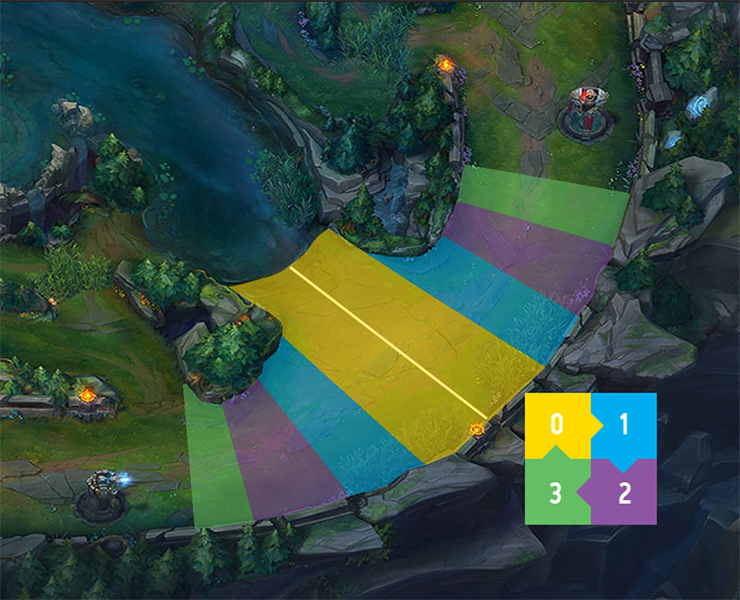 You should keep the wave here for added protection against all-ins from the enemy as well as protection against enemy ganks. To keep the wave here, you want to make sure that the enemy has more minions in their wave than yours. By doing this, the wave will not push back towards them unless you clear the minion wave or the tower starts attacking the minions. In this situation, you would want the enemy minion wave to have at least 2 or 3 extra minions than yours does. For example, if you have five minions, you would need the enemy wave to have 7 or 8. As tanks do not have the best wave clear in the early game, the enemy may be able to push the wave into your tower. You should try to stop this from happening because it will bounce and it may reset the lane. One way of countering this is by purchasing items that give you added waveclear such as Sunfire Cape or Tiamat. You should try to always have a deficit in minions so it does not push towards the enemy. If the tower starts auto attacking the enemies minions, you should try to draw the aggression back and then tank the minions until your wave arrives. However, this can be quite difficult if the enemy is looking to fight you and you should avoid doing this it if they can. This is because the minions will work in their favor and it may leave you for dead. Furthermore, as many tank champions are quite a mobile, if you push the lane the enemy may be able to gank you and you could get put behind from it. We have already made a previous wave management guide which I would highly recommend if you want to learn more. 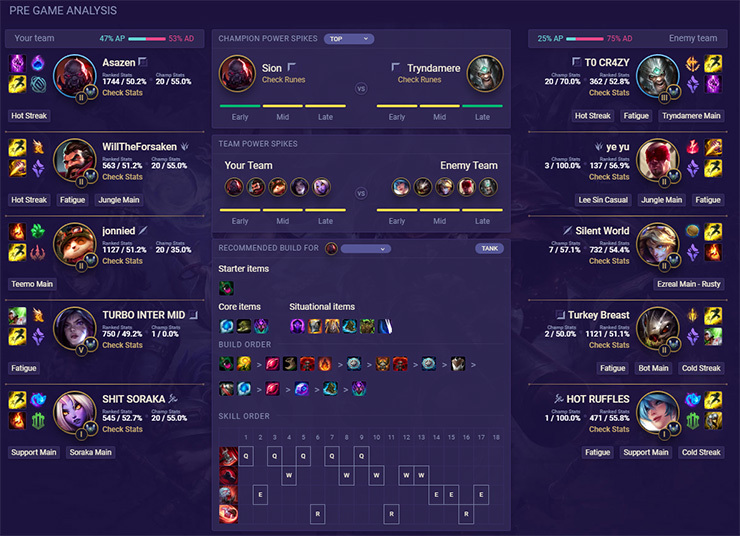 Wave management is incredibly important for every single champion and role, so if you understand the subject as a whole, it will allow you to take the advice into every situation and match up. Every tank has the option to customize their build around the enemies team composition. For example, if the enemy is mainly AD focused, you would be able to stack armor in order to become very tanky and unkillable. This is one of the main benefits of playing a tank champion. There are a plethora of different items that you can buy on every tank, but it can be quite difficult to say which one to buy and when. I would highly recommend that you check ProBuilds and study what pro players are building on your favorite champion to get the best build. Moving back to my point, it’s important that you build an item that will directly benefit you in the lane phase and in most cases, it will be your first item. An example suggestion would be picking up Ninja Tabi. This is quite a good thing to do if you’re against somebody who likes to go for frequent trades as it provides you with some defense as well as movement speed which you allow you to escape. Sunfire Cape is also a very good item that will help you clear waves quickly. This can be quite beneficial if you’re against somebody who has AOE abilities and pushes the wave fast. This will also prevent you from losing your tower quickly. For example, you could take Sunfire Cape first if you are against Renekton as it will allow you to stop him from pushing as quickly. Another reason would be that it provides you with more trading power thanks to the burn damage that it deals. 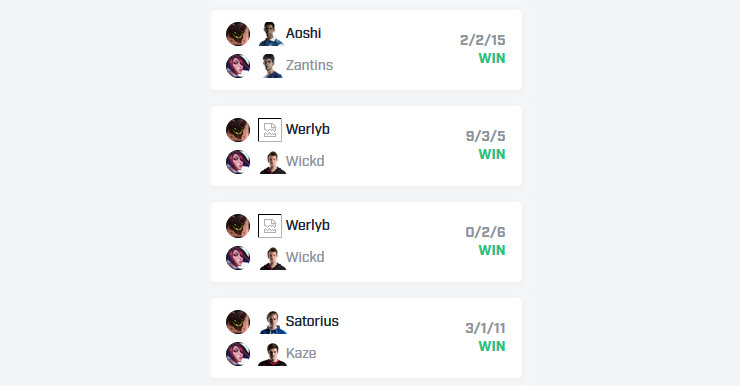 Many players may feel that the only way to win a matchup is by killing the enemy and seeing a score advantage. While the war on attrition is incredibly important for League of Legends, it is not always a viable thing to do for some matchups and some champions. I’m not suggesting that you should not play aggressively at all, however, there is a time and place to play aggressive and you should avoid playing aggressive until it’s in your favor. One example would be to avoid fighting until you have Sunfire Cape. This is a good thing to do because you lack damage in early game. Once you have Sunfire Cape, it will allow you to deal extra damage in trades. It also provides you with more protection from the enemies damage. For a lot of tanks, you may want to just farm and get tanky and only go to fight when you have to. You see this a lot in the LCS where pros try to get small advantages here-and-there rather than going for all-out war. You have to remember what a tank in League of Legends is and that you should not be looking for kills 24/7. Of course, there are situations where you will be able to fight the enemy and you should look to engage, such as when you receive a gank from your Jungler or Mid laner. Another time that is good to fight is when they use one of their abilities to finish off a minion or clear the wave. This is when they will have the least damage available. When you play as a tank, you will usually have some form of crowd control that can help you lock down the enemy. A CC ability can come in handy when it comes to trading with the enemy as well as setting up your Jungler for a gank. So it is important that you try to make the Jungler WANT to gank you. As some tanks have little kill potential in the early game, it is important for you to be able to kill the enemy with help from your Jungler. One way of getting your Jungler to gank your lane is by setting up the gank for them. Example: One way of doing this is by going for a trade as the Jungler has entered the top side of his jungle and then backing off after you have used all your abilities on an enemy. The enemy should be slightly lower by this time and this may allow the Jungler to come and help you. If you ping for assistance, you can then play less aggressive and not use your abilities until your Jungler is about to come. You would then want to hold onto your CC until your Jungler is in range of the enemy and hopefully the two of you can kill them. This scenario will differ from game to game but the principle is always the same. When playing League of Legends it is important that you know how to play into every matchup. When you are playing as a tank champion, it can be quite difficult to play against a fighter and we hope that we have given you some insight and tips on how to play into this sort of lane. Once again, I would recommend that you do read our previous guide to learn more about this specific match up. Thanks for reading, we hope you found this insightful. What are some of your tips for playing a tank into a fighter? Let us know in the comments below! As always, you can find Picklepants in our Discord if you have any questions.